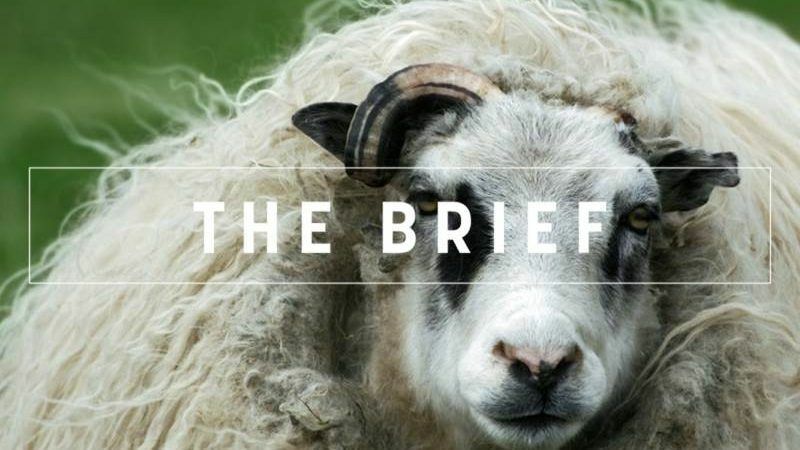 The Brief, powered by Yara – Who says EU trade officials don’t have a sense of humour? Canada aside, Australia and New Zealand have been among the most enthusiastic about inking trade deals with the UK after it leaves the EU. International Trade minister Liam Fox, and his team, see the Commonwealth countries as ‘low hanging fruit’ when it comes to brokering new trade deals. Sceptical UK civil servants have dubbed the focus on the 53-nation Commonwealth as ‘Empire 2.0’. With that in mind, there was a hint of irony in the announcement by EU trade commissioner Cecilia Malmstrom yesterday that she had fired the starting gun on free trade talks with Canberra and Wellington. The first negotiation rounds are set to take place in Brussels in July. Commission president Jean-Claude Juncker has vowed to complete the talks by the end of his mandate in autumn 2019. Should that timeline be met, the UK will be formally outside the EU but just a few months into its transition period as a de facto single market member, during which time it will be unable to sign its own trade pacts. The meat and dairy sectors in Australia and New Zealand were among the big losers when the UK joined the European Economic Community in 1973, losing their market access overnight. Just 0.1% of New Zealand’s dairy products went to the UK in 2017. Many Brexiteers would like to see high-quality Antipodean meat and dairy on supermarket shelves. “The biggest barrier is the tariffs,” David Richmond of New Zealand’s dairy multi-national Fonterra told MPs on Wednesday (23 May), as part of a UK Parliament inquiry into what the UK’s post-Brexit trading relations with the Commonwealth should look like. But would UK ministers be allowed to open up their agriculture markets, even if they wanted to? Parts of the UK meat and livestock industry are anxious that giving unfettered access to the former colonial cousins would kill off domestic production. Australia’s former High Commissioner to London, Alexander Downing, says that Australia is more interested in offering its meat and livestock to booming Asian markets than Brexit Britain. Instead, the real value of an Australia-UK deal would lie in harmonising regulation, rules on investment and public procurement. Such a pact is also likely to include a chapter on immigration under which citizens would be able to work in each other’s countries. Minus the immigration protocol, those terms are likely to be what the EU seeks in its own talks with Oz. There is no reason to doubt that both the EU and UK will be able to broker their own antipodean trade pacts. But to Brexiteers for whom ‘taking back control’ was about making Britain a buccaneering champion of free trade, the fact that Brussels has beaten them to the first punch is still a poke in the eye. Reducing environmental ammonia volatilization will benefit both farmers and society: Did you know that ammonia losses from fertilizer application could be reduced by 63% by replacing all urea and UAN by AN or CAN? With a potential emission reduction of about 470 kt ammonia, this is the most efficient measure to reduce ammonia volatilization in Europe. Facebook CEO Mark Zuckerberg left MEPs outraged after his Parliament show yesterday as he avoided answering detailed questions on the company’s data policies and worried about their time management. Spitzenkandidaten are back in the game again: one year ahead of the European elections, EP President Antonio Tajani, widely criticised for his handling of the Zuck-up yesterday, upped the ante in the debate of how to choose the next Commission boss. Social Democrats should go back to their roots, argues S&D President Udo Bullmann and calls upon French President Emmanuel Macron to decide if he is a ‘real progressive’ or not. Market pressure, the strong hand of EU institutions and the limits of power will determine how far the new Italian government will go in trying to shake up the eurozone’s status quo. Euro-hopeful Bulgaria’s ambitions to join the single currency took a battering. While it showcases the benefits of EU membership, Sofia’s metro project also reveals shortcomings in how the Bulgarian authorities work with EU funds. Blossoming batteries and storage will be boosted by EU efforts as electro-mobility and renewable energy go from strength to strength. Keep up to date with our ongoing coverage of electro-mobility here. Belarus may have ended a bizarre spat with Sweden but the Nordic country is still preparing its citizens for war, in a grim public awareness campaign not seen since the height of the Cold War. Day 2 of the European Business Summit takes place at the Egmont Palace in Brussels. Look out for a discussion on the EU as a global actor featuring foreign policy chief Federica Mogherini, Belgian foreign minister Didier Reynders and Shada Islam of Friends of Europe.